We handle and have handled the types of cases discussed below, but the list is not complete. There are many cases that present specific situations that we can help with. If you are not sure if you have the kind of case we handle, just ask us, and if it may be the kind of case we can help with, we will be happy to provide you with a free consultation. In simple terms, if you live in Indiana or were injured or suffered the death of a loved one in Indiana, we can probably help you. The most important thing to know is that in some cases, the “where” is a complex question, so ask about a free consultation where we can better determine the “where” questions. We have handled and can handle cases in all states of the United States and even in foreign countries. Some cases in other states require that we hire “co-counsel” in that state to help with issues under that state’s laws or to help file a lawsuit in that state, but that never results in any additional fees to you. 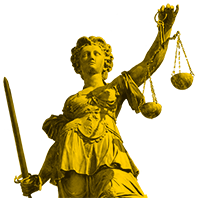 We have handled and can handle cases in all counties in Indiana, in any state court in Indiana, and in all federal courts in Indiana. We represent individuals and families who have suffered an injury or lost a loved one. That includes men, women, children, surviving spouses, surviving parents, surviving children, other surviving family members, and guardians of a child or disabled person. We do choose which people we represent, but we never make those choices on the basis of race, ethnicity, national origin, age, gender, sexual preference, religion, or political views. We represent our clients against any person or entity which investigation determines is, are, or may be at fault or legally responsible for our client’s injury or the death of our client’s loved one. If you are not sure if you have the kind of case we handle, just ask us, and if it may be the kind of case we can help with, we will be happy to provide you with a free consultation.